California plans a new set of regulations that will govern how autonomous delivery trucks can be tested and deployed on public roads. 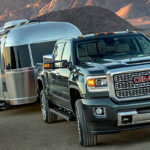 Recreational vehicle maker Thor Industries successfully sues Thor Trucks for infringement to stop the electric truck startup from using Thor in its name. The California Air Resources Board is negotiating new green truck requirements, saying more action is needed to reduce truck emissions to meet the state’s targets. The ports of Los Angeles and Long Beach will charge cargo owners who don’t use the cleanest available technologies in 2020 and also start a smog-check pilot program. A roundup of major court rulings and new labor laws shows the many challenges facing the trucking industry on hot-button worker issues. Bipartisan bills introduced in both houses of Congress would let 18- to 20-year-olds drive heavy-duty trucks cross-country after hundreds of training hours. Regulators are using webinars, in-person events, mailers, emails – even a telephone hotline – to help truckers understand how to comply with the state’s strict air-quality requirements. The U.S. Supreme Court ruled Tuesday that the 1925 Federal Arbitration Act exclusion for transportation workers applies to independent contractor truck drivers. The Teamsters file a lawsuit challenging the FMCSA’s ruling reversing mandatory rest breaks for truckers in California. 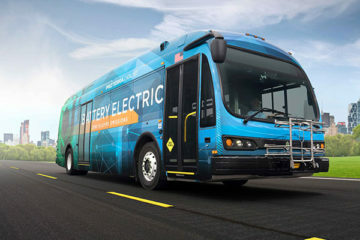 California Air Resources Board will require public transit agencies to transition to only zero -emission vehicles by 2040. EPA’s Cleaner Trucks Initiative aimed at 50-state rule to reduce smog-forming emissions could work, says Mary Nichols, California Air Resources Board chair.